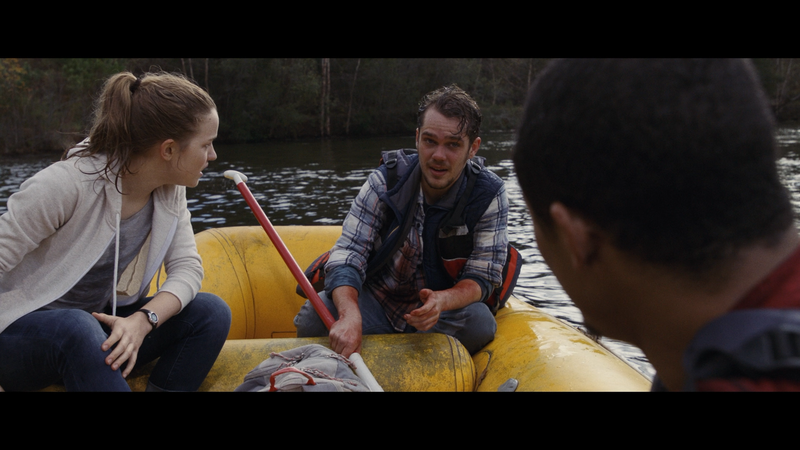 The story follows three (supposedly) best friends — Victor (ELLAR COLTRANE), Jeff (JACOB ARTIST) and Lynn (WILLA FITZGERALD) — who are going on an outdoor excursion. But there’s tension because as it happens, Jeff and Lynn are dating behind Victor’s back and Victor once messed around with Lynn. In the meantime, a man credited as Miller (JOHN CUSACK) has parachuted from a plane, which subsequently crashed, with four bundles of embezzled cash worth, as we find out, $8.5 million. Unfortunately, Miller flew off course and the bags end up along a river bank where Lynn, desperate for money, wants to keep for herself, but realizes she can’t take it on her own and employs her already rich boyfriend to help, without telling Victor. Like I said, assholes. Well, Victor finds out anyway and wisely observes the cash is illegal and suggests they turn it in, for which Lynn flatly refuses and both send Victor off for clearly being logical. Douchebags. Well, now it becomes a game of cat and mouse as Jeff and, especially, Lynn, wants to keep the money (now $6.5M after losing a bag in the river while being pursued), and Miller wants is ill-got gains to start a new life as well. Clearly, the movie is no subtle topic on what greed does to people such as taking what, I guess, was a sweet girl (though she wasn’t so sweet in my eyes) and turn her into an uncaring sociopath and a white-collar criminal into a murderer. 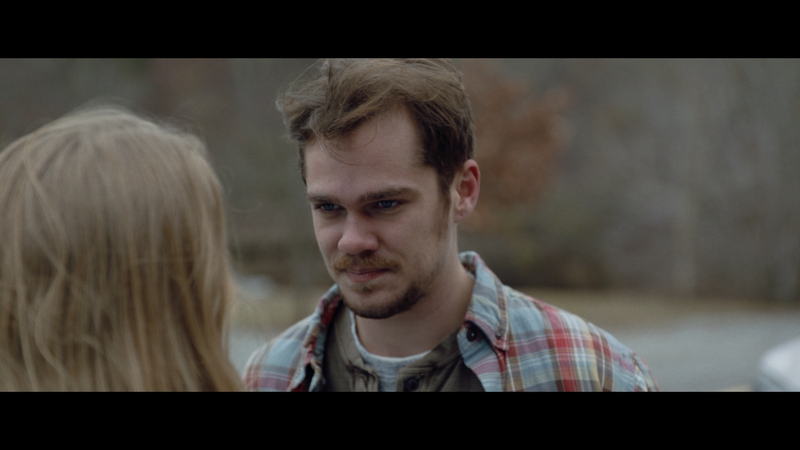 But even so, it was really hard to root for these characters, outside of maybe Ellar Coltrane’s Victor but even he’s a sour sap at times. I guess the only one I kind of liked was John Cusack but mainly because, well, it’s John Cusack and he’s charming as all hell and unlike his small role in Arsenal, for which I think he has the same wardrobe, he does seem to be trying at least. 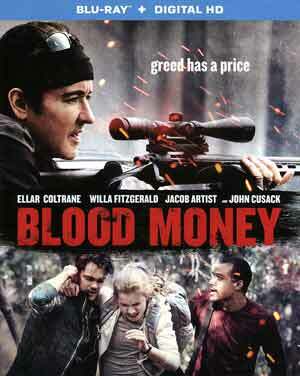 Blood Money was directed by Lucky McKee who previously helmed Red (the 2008 version starring Brian Cox), The Woman and All Cheerleaders Die, which I saw and thought was alright. And while this isn’t a good movie, despite my rating it’s not a horrible one either and I guess if you go in with the right mindset, it very well might be a fun kind of bad movie. This release comes with a matted slip cover and inside is a redemption code for the Digital HD copy. 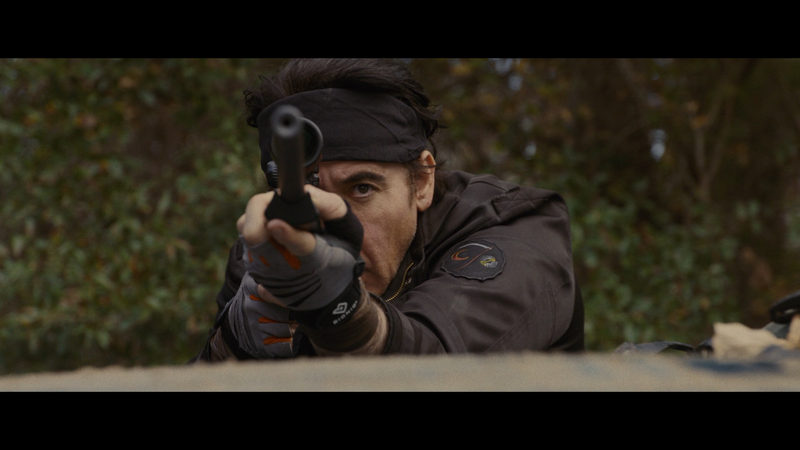 The only bonus is Blood Money Uncovered (15:26; HD) making-of behind-the-scenes featurette. Blood Money comes to Blu-ray through Lionsgate and is presented with a 2.40 widescreen aspect ratio and a 1080p high-definition transfer. For the most part, the picture does look good with sharp detail and colors are bright since most of the movie takes place in the daylight and outside. The dark levels were decent, if not on the weaker side at times, and on display in the finale. The DTS-HD Master Audio 5.1 track is pretty good providing clear dialogue levels primarily via the center speaker while the front and rear channels are relegated to the sounds of nature (i.e. birds) with modest depth for gunfire or the echoes inside a tunnel. 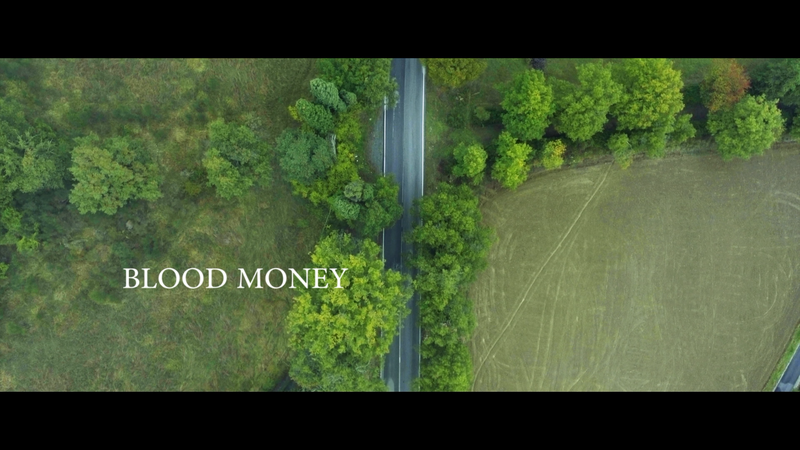 Overall, Blood Money might not be a terrible movie… on paper, but when you have characters you actively despised, and one you hoped the villain would actually kill, you have a problem. 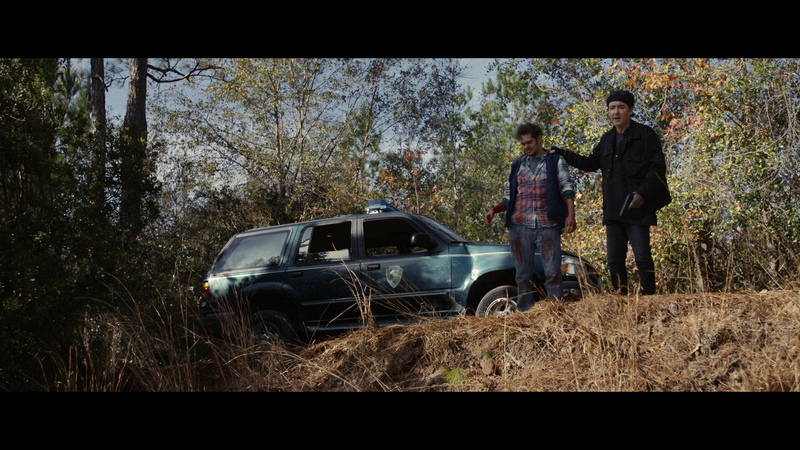 But if you take it as a good bad flick, then it might be worth a rental or streaming. The Blu-ray released by Lionsgate offers good video and audio transfers but limited in the features department.